Profitable, fun and versitile unique retail shop located in prime tourist destination in a resort beach location. 2016 total revenues were $282,465 and Seller Descretionary Earnings of $108,634. The shop sells colligate sports wear (ball caps, jerseys etc.) air brush tee shirts, face painting, hair wraps etc. 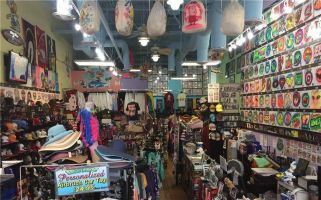 The shop boasts wonderful sales in season with many repeat customers. The asking price is $275,000. Growth & Expansion: The seller believes that the buyer could improve this business by implementing the following: If and when possible expand the square footage of the store. Competition: This retail shop does not have any any competition because of its unique sales strategy and services.